TILT-SHIFT marries police procedural intrigue with hard-hitting modern warfare action in its hyper-real presentation of the work done by Special Operations teams throughout Afghanistan. More than that, it paints a picture of young Americans rising from their varied upbringings, distinguishing themselves from among their peers and flying to the most desolate ends of the world to quell a violent insurgency that suppresses the freedom of the Afghan people and threatens the security of their families back home. Quite a boilerplate description above, but as you can see the artwork looks like it speaks for itself. 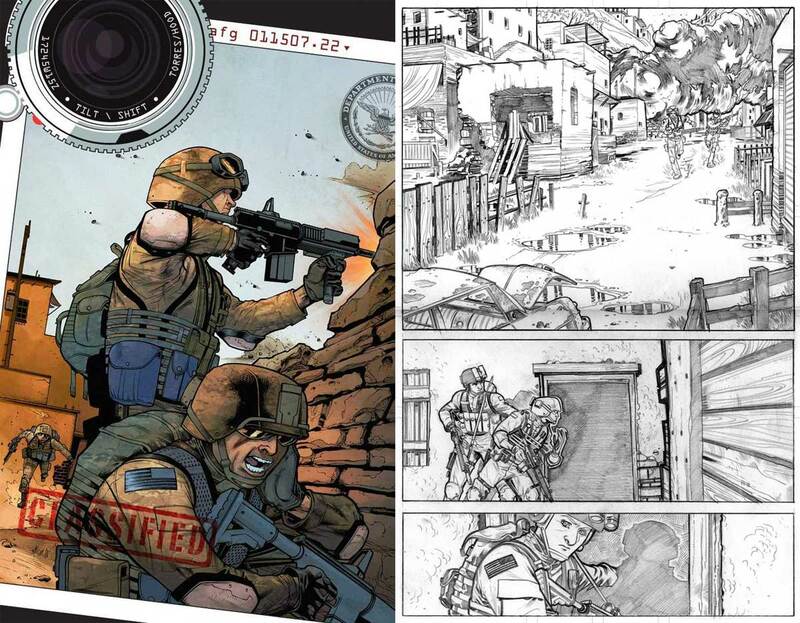 The 12 issue series that they want funding for follows a team of American soldiers as they pursue enemy combatants in Afghanistan from their fortified mountain strongholds to their booby trap filled bomb factories. As you can see (left) they are getting very close to getting complete funding to make the book a reality. Click on the title of the kickstarter embed to visit the page if you want to read more about the project and/or throw a few dollars their way. Lots more pictures and information also available on the Tilt-Shift facebook page. The R2 field pack (only black in color) goes for $229 over at Mission Workshop. The R6 field pack comes in 2 sizes small $209 and large $229 and is available in black or dark grey cordura nylon with a +$30 option to substitute that out for tan waxed canvas. The modular accessories listed on the respective pages and range from ~$30 – $100. The field packs and accessories are made in the USA and backed by a lifetime warranty. After checking out the nice pictures website and watching the overview video I can say they definitely both look like solid bags which I would like to own. Waxed canvas (the material the standard R2 is made from) is one of my favorite materials, because it’s not only waterproof but it looks and feels great. 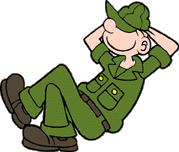 Sick of wearing a suit 5 days a week due to a ban on “casual day” at your stuffy office? 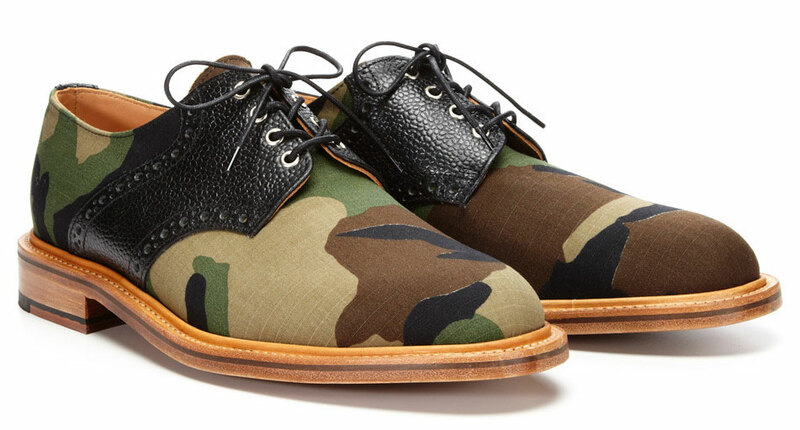 Test the limits and dress it down a bit with these Mark McNairy joints available exclusively at Park & Bond for $395. Machined out of g10 plastic by custom 1911 grip company VZ Grips. 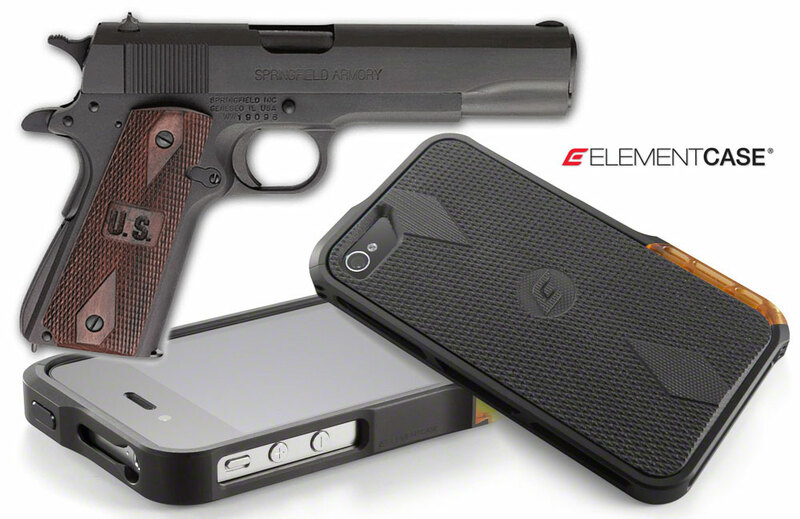 $180 over at Element Case. Quite pricey for such a subtle homage to the 1911 if you ask me. I hear Element makes some pretty solid cases though. I’m pretty careful with my phones so I never was much for spending a grip on a case. 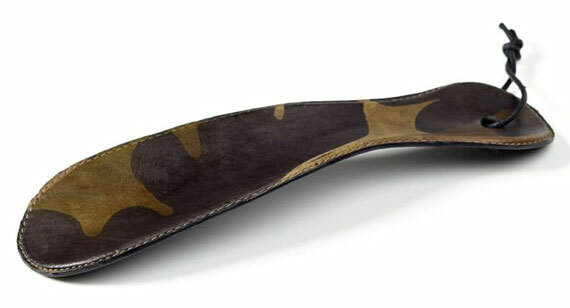 $59 over at Logan Zane if your style and creaky old man back require such a beautifully crafted tool. Logan Zane is killing it in the realm of camouflage leather small goods right now. I posted a camouflage leather lunch bag from them a while back. I’d really like to know where to buy or get quantities of leather done like that… if anyone knows drop me an email or let me know in the comments.